If your mortgage lender is in the middle of foreclosure proceedings against you, qualifying for another loan to finance the purchase of a home might prove an impossible task. Your credit score will be in shambles, and any lender will see that you are in default of your mortgage. Few, if any lenders, will take the risk of lending you mortgage money. But there is hope after the foreclosure. You'll have to take steps to rebuild your credit score -- and you'll have to be patient -- but just because you've lost one home to foreclosure doesn't mean you'll never have the chance to qualify for another mortgage loan. If you are in the middle of a foreclosure don't expect to qualify for another mortgage loan. You might argue that a financial crisis -- a spouse's job loss, serious injury or reduced working hours -- made your current mortgage payment unaffordable, and that a less expensive house with smaller mortgage payments will fit within your budget. This argument won't persuade lenders, however. When they look at you, they'll see a high-risk borrower; one who has already shown a proclivity to miss mortgage payments. Few, if any, lenders will take the risk of loaning you additional mortgage dollars. A possible exception is small local banks and credit unions, who may consider your application if you have sufficient assets available. 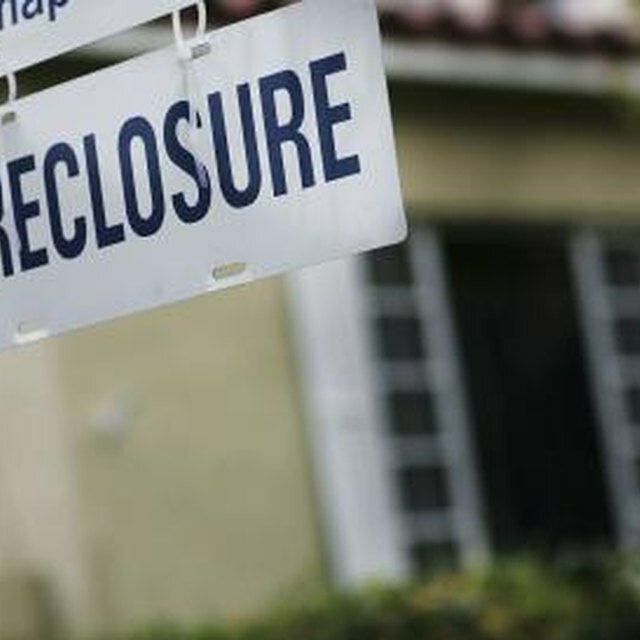 Once your foreclosure is complete, you might still struggle to find a new mortgage loan. That's because a foreclosure stays on your credit report for seven years. Every time you apply for a mortgage loan, lenders will see that you've already defaulted on a previous home loan. You won't be able to qualify for a loan insured by the Federal Housing Administration, better known as an FHA loan, for three years after your foreclosure. Private mortgage lenders will follow their own guidelines. Some will deny your application for the seven years that your foreclosure remains on your record. Others will approve your application only after you rebuild your credit score, no matter how many years that takes. Fair Isaac, the company that created FICO credit scores, says that your three-digit credit score will fall from 85 to 160 points following a foreclosure. This is significant. Lenders rely heavily on your credit score when deciding whether to lend you mortgage dollars. If your score is too low thanks to your foreclosure, you'll have to wait until it recovers before gaining approval for a loan. Different lenders have different criteria, but many won't approve you for a mortgage loan if your credit score falls under 600. You won't, for instance, be able to qualify for an FHA loan if your credit score is lower than 500. And even if you do qualify for a loan, if your score is low because of a foreclosure, you'll have to pay higher interest rates, which will boost the size of your monthly payment. You can rebuild your credit score. To do this, make all your payments on time and pay off as much of your credit-card debt as possible. If you pay your bills when they're due, over time your score will improve. This is not a fast process. It will take years before your credit score recovers fully from a foreclosure. But if you maintain a good credit record following your foreclosure, the odds are high that you'll one day be able to qualify again for a mortgage loan.